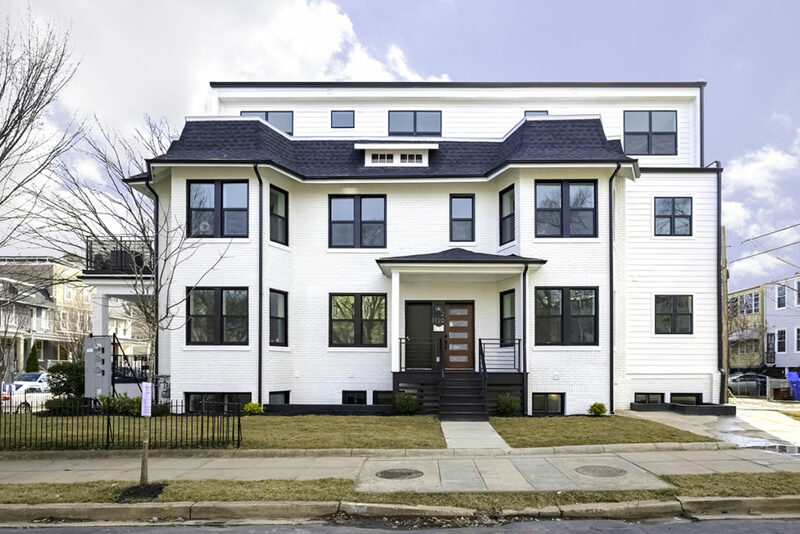 Welcome to this brand-new unit in the COMING SOON boutique condominium building in Brightwood Park that boasts a bright and airy open floor plan with floor-to-ceiling windows, 12′ ceilings and wide-plank white oak hardwood floors. This condo’s layout has 2 bedrooms + a den, 3 full bathrooms and an amazing rooftop deck accessible from inside the home. 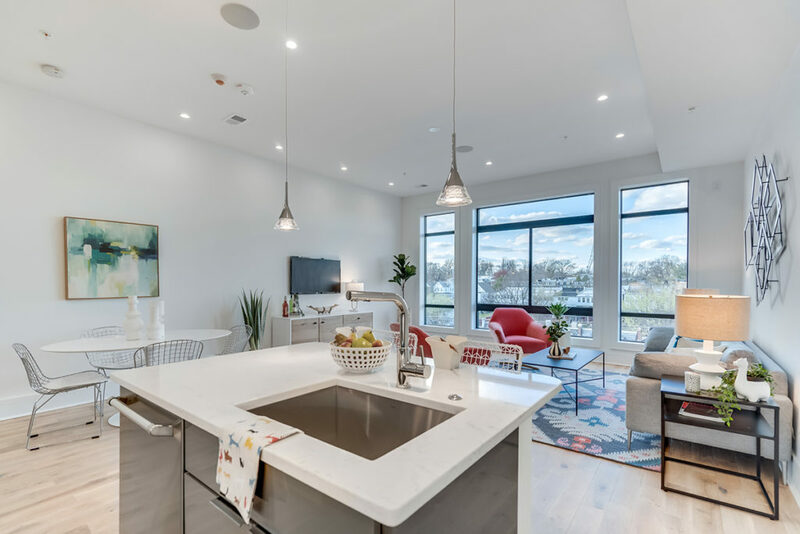 Some features inside the unit include a chef’s kitchen with Bertazzoni appliances, quartz counters, chrome fixtures, custom metal railings and bluetooth intercoms, making this a home for the modern age with everything you could want in a new construction. Other features include a separate 1-car garage and a fully-finished basement with a wet bar and rear basement access. The Most Expensive Home of the Week is a 5 BR/4.5 BA Colonial in Georgetown listed for nearly $5M and features over 4,000 square feet across 3 levels, including a pool, terrace and a luxurious master bedroom and bathroom suite. Your REO/Bank-owned Property of the Week is a large 4 BR detached in Langdon with a lot of potential, but it also needs a lot of work. The Cheapest Home of the Week is a studio unit at the Westchester for only $189k. 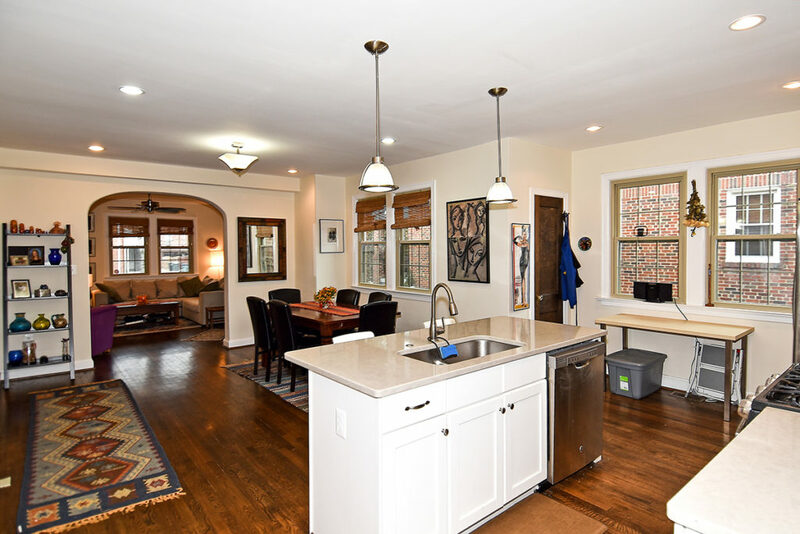 This 3 BR/3.5 BA brick row home is loaded with its original charm and features, blending old school intricate woodwork, coffered ceilings and crown moulding with the new school smart home features of a Ring doorbell camera, SimpliSafe Alarm and Nest Thermostat, and smoke detector system. 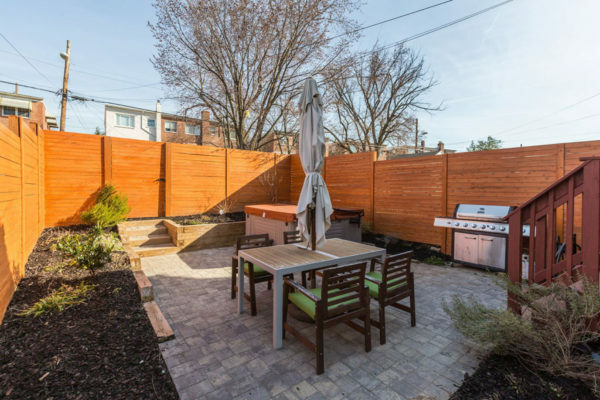 The home boasts 2 outdoor seating area, including a front porch, patio, rear screened porch and an upper deck that overlooks the serene Bloomingdale neighborhood. For an added D.C. centric bonus, check out the custom skylight on the upper level hallway in the style of the District flag. 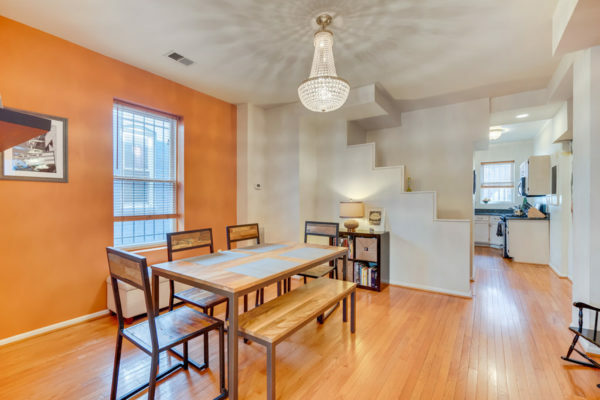 On the ground level of this converted townhouse in Mount Pleasant sits this immaculate 2 bedroom, 2 bathroom open floor plan unit with nearly 1,200 square feet of living space. The semi-detached building offers windows on 3 sides, allowing for lots of natural light streaming throughout the home, illuminating the gorgeous dark hardwood floors across all rooms. 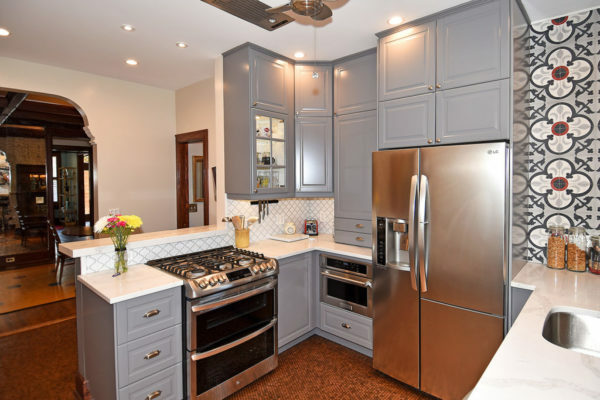 The home features exposed brick, 9’+ ceilings, laundry room with front-loading washer/dryer and a gourmet kitchen with stainless steel appliances and quartz countertops. The master bedroom suite elegantly boasts a large walk-in closet as well as an ensuite master bath with dual vanities and a separate shower. Completing the home is the beautifully private rear wood deck overlooking the backyard, ideal for those upcoming warm summer nights. The Most Expensive Home of the Week is one that actually deserves that moniker with 4 levels and 10.5k total square feet encompassing 8 bedrooms, 9 total bathrooms, a swimming pool, billiard room, theater room and a massively green backyard. Modern and open 4 BR townhouse in Petworth only a block from the Petworth Metro includes solar panels on the roof, creating instant cost savings for the new owner. This 3 BR/1.5 BA end-unit Victorian rowhome with a 96 Walk Score is centrally located just east of Union Station and right off of H Street in Northeast D.C., making commuting a breeze with 2 Red Line Metro stations and the H Street Corridor within a 1-mile walk. 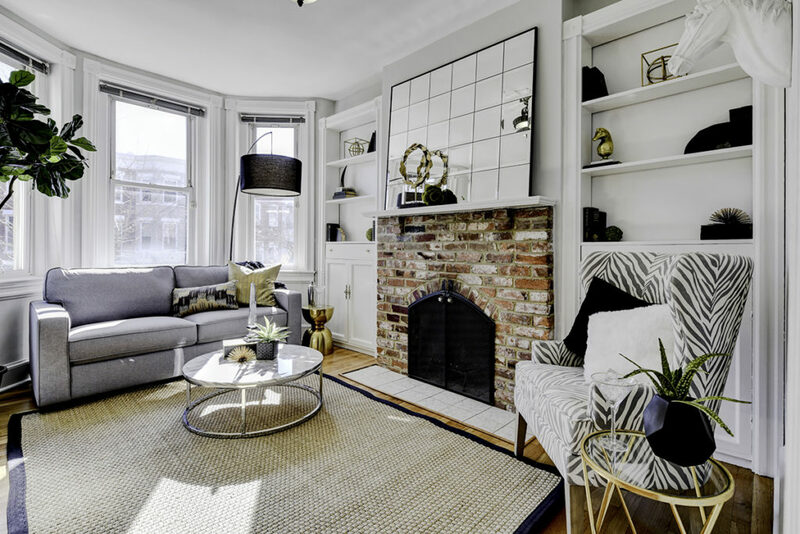 The home spans 2 levels and over 1,600 square feet, with a traditional floor plan, bay window, hardwood floors and 2 fireplaces on the main level. Upstairs are all 3 bedrooms, including the master bedroom with numerous closets as well as another large and bright bay window with a seating area. Out back you’ll find the fenced-in, secluded patio with grilling space as well as a rear exit, completing the timelessness and functionality of the home. For a mere $9.85M, you can own this 7 BR/8 BA, 2 half bath Most Expensive Home of the Week comprised of 2 different addresses combined for 11,000 square feet on the edge of Georgetown. 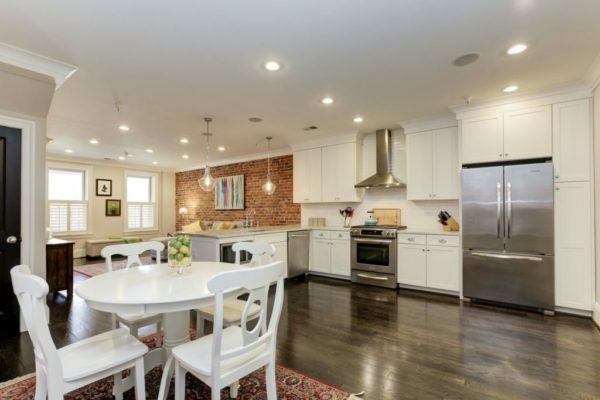 Adams Morgan 1 BR condo + den is substantially larger than most one bedrooms we typically see in such a highly sought after neighborhood. 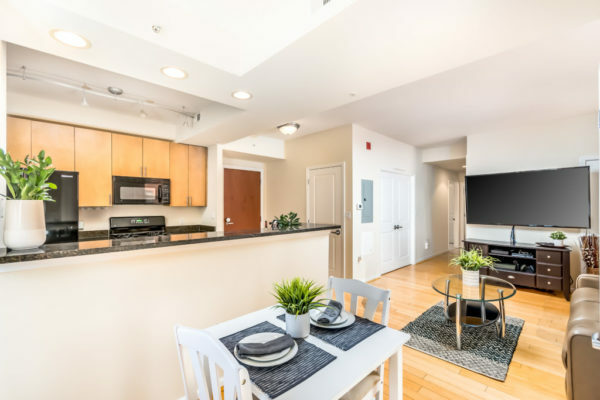 The REO/Bank-Owned Property of the Week is also the Cheapest Home of the Week for this studio unit at Tiber Island in Southwest Waterfront. This 1 bedroom, 1 bathroom condo COMING SOON at The Cosmopolitan in Penn Quarter has it all, including a plethora of amenities as well as prime location with a Walkscore of 94 and 4 nearby Metro stations. The building offers community sitting rooms, a fitness/gym room and a rooftop deck with a grilling area that overlooks the District with views of the Washington Monument. Inside the unit itself is nearly 900 square feet with an open floor plan encompassing the 1 BR unit + den with large, bright windows throughout and a private balcony. 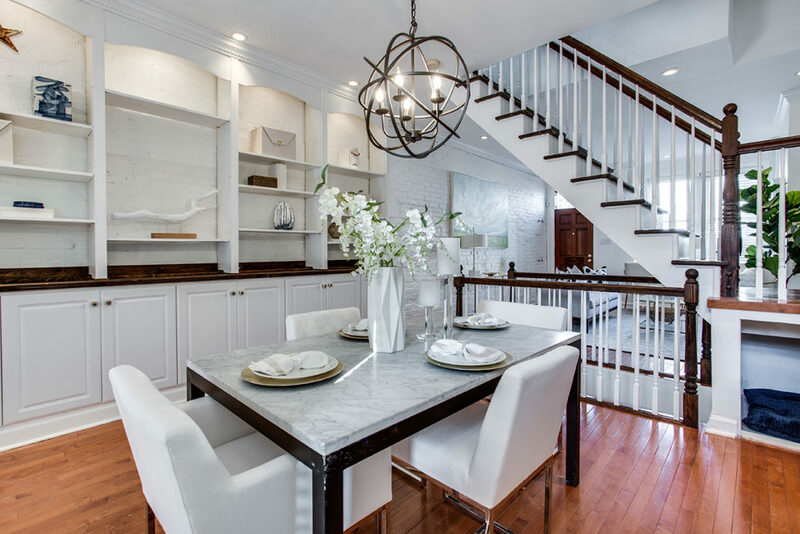 The Most Expensive Home of the Week is a 7 BR/6 BA/2 half bath listed for just under $10M is described as “Entirely Renovated, Beautiful Mansion in the Greatest Residence, Kalorama,” but the photos leave a lot to be desired for a home of this magnitude. A 4-level 4 BR Colonial in 16th Street Heights with over 2,500 square feet features a formal dining room, a large lower level rec room with a bar and a master bedroom suite with dual walk-in closets and ensuite bath with separate tub and shower. Your REO/Bank-Owned Property of the Week is a 3 BR bungalow in Langdon that probably is a better purchase for a developer rather than a home renovator. This BRAND-NEW listing right off of the H Street Corridor is 2 different ultra modern units, each with 3 bedrooms and 2,000 square feet. Both units have large windows throughout allowing for tons of natural sunlight, including huge bay windows. Other features include light finished hardwood floors, in-unit washer/dryer and a stainless steel kitchen (including a wine fridge!) with a breakfast bar and a black/white toned cabinetry. The spacious master bedroom suites have large, walk-in showers with his & her vanities as well as walk-in closets, completing both of these units as the perfect space for living, entertaining and of course, relaxing. The Most Expensive Home of the Week is a 4 BR/3.5 BA Georgetown semi-detached Federal style home with 2,000+ square feet that includes 3 fireplaces and a wine cellar for $3.3M. The Cheapest Home of the Week is a 1 BR in the gated community of River Park at Southwest Waterfront. Your REO/Bank-Owned Property of the Week is an AS-IS 2 BR unit near Meridian Hill Park that has a fireplace, high ceilings and pocket doors, but that’s about all we can gather from the 4 photos.